These little cakes are what Vanilla Pod is famous for! We make them in two sizes, mini and large. 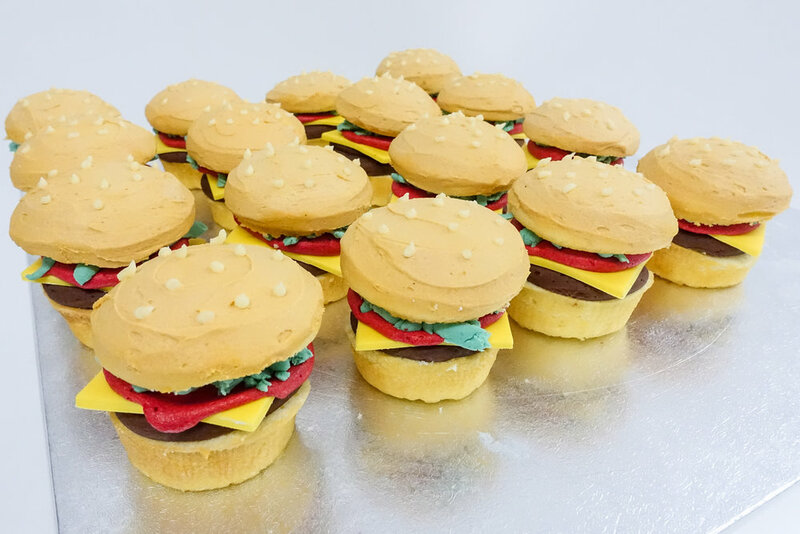 Whether it's a birthday, corporate event or even your wedding day, cupcakes are the perfect way to celebrate and a novel alternative to a regular cake. We pride ourselves on producing what we think are Brisbane's best cupcakes. Drop in today to taste the difference or talk to our team to place an order. Below are just some of the many cupcakes we've enjoyed creating over the years. Our Facebook and Instagram are updated regularly with new cupcakes from our Specialty Cake Kitchen in Albion.